The 17th century English poet and playwright, remarkably one of the greatest wordsmiths that ever lived, must have penned the enduring lines with the likes of the political gladiator, inimitable party administrator and aficionado, Chief (Dr) Anthony Akhakon Anenih, the Iyasele of Esanland, in mind. Anenih’s demise on October 28, 2018, at the age of 85, together with the surfeit of profound tributes that have trailed it, perfectly fits into Shakespeare’s contemplation and summation of death in its nuances. Indeed, the observance of burial rites for Anenih is, essentially, a celebration of his life and times; and, it reminds us of how our shared humanity is daily discounted and the compelling obligation to always be ready for our respective exit. John Donne put it succinctly in his Meditation XV11: “Any man’s death diminishes me, because I am involved in mankind, and therefore never send to know for whom the bell tolls; it tolls for thee.” Anenih’s death diminishes me. It diminishes many others whose paths crossed his and whose lives he touched with his eleemosynary acts. The Iyasele defined his eon with the magnitude of his humanity and politics, a trade that he plied for about four decades, until that luminous epoch came to an abrupt end on that fateful Lord’s day. But he left his indelible imprints clearly stamped on the nation’s political landscape both as a strategist and tactician par excellence. His political exertions were quite incredible so much so that his associates and those in the other camps had different perceptions of his persona. To his admiring loyal followers, Anenih was a leader who could be relied upon to attend to their socio-political and economic frailties and needs. But those in the other camps, acting in cahoots with their satellites in the media, successfully hung on him “Mr. Fix it”, a sobriquet he somewhat deprecated because of its connotative usage. But the conspirators succeeded in using it to denote their preconceived negative imageries and narratives about him. But providence gave him a second chance in 2015, after he survived an emergency open-heart surgery, to deploy the medium of his autobiography titled, “My Life and Nigerian Politics”, which was presented to the public in 2016, to clear some of the erroneous perceptions, misconceptions and misconstructions by members of the public about his politics, philosophy and persona. He used the occasion to announce his withdrawal from politics as there were no more points to prove, according to him. That intersection, spanning three years, had also given him the opportunity to sort out so many other things, especially spiritual: rededicating his life to God, reconciling with those that he offended and those who offended him through unsolicited and unconditional forgiveness. A devout Catholic, it was very clear that he was prepared to meet with his creator, having run his race and completed his course. 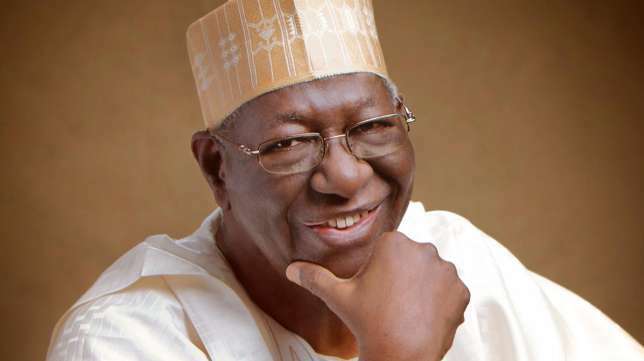 But to be clear, Anenih had been somewhat prepared long time ago for his transition to the celestial realm as validated by his decision in 2001 to build his Mausoleum, his final resting place, where he would be interred upon his death, in his country home in Uromi. That is the place his remains will be buried today, Saturday, December 1, 2018, after a Funeral Mass at the St. Anthony Catholic Cathedral. The interment will be witnessed by members of his immediate family only. A political icon, he remains a dependable leader, even in death, to his loyal political followers. To the best of his ability, he reciprocated their loyalty with greater loyalty and political rewards, which he selflessly dispensed. He was an apostle of “101 percent loyalty”; and, he was exemplary on that score. Anenih was consistent and persistent to the end in the Peoples Democratic Party (PDP) even in the face of treachery by some associates. This was one of the attestations by former President Goodluck Jonathan at the Requiem Mass and a session of Tributes held on Tuesday, November 27, 2018, at the Ecumenical Centre in Abuja. 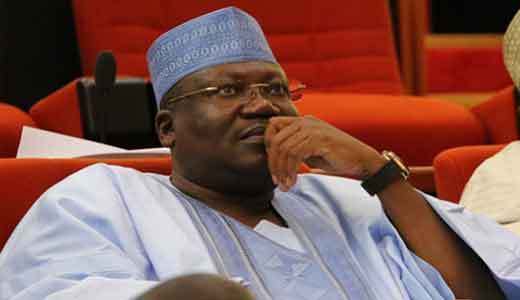 His voyage into the nation’s cloak-and-dagger politics began in 1979 as a member and, subsequently, Chairman of the National Party of Nigeria (NPN) in the old Bendel State. He was instrumental to the victory of Dr. Samuel Ogbemudia as governor in 1982. At the time, he had just retired as Commissioner of Police and was tending to his successful private businesses. Anenih would later, in 1991, as National Chairman of the Social Democratic Party (SDP), work for the victory of Chief John Odigie-Oyegun as governor of Edo State. He repeated the same feat with the victory of Chief Lucky Igbinedion as governor in 1999 and 2003. But the 2007 governorship election in Edo marked the turning point. It was one of the very few political battles that he lost irretrievably. It is important to underscore the pan-Nigerian outlook of Anenih’s politics, which made him detribalised. In 1982, he played a key role in the election of Alhaji Shehu Shagari as president for a second term, which was cut short by a military coup; in 1993, as National Chairman of the SDP, he led the presidential electioneering of the SDP that culminated in Chief MKO Abiola’s June 12 victory that was annulled. Anenih’s role in the 1999, 2003, 2007 and 2011 presidential elections was writ large. It produced the victory of Chief Olusegun Obasanjo, Alhaji Umaru Musa Yar’Adua and Dr Goodluck Jonathan respectively. Some of his single-minded and surefooted assertions such as “there is no vacancy in Aso Rock” helped to reinforce his élan as a political strategist and tactician. At the level of pragmatic administrative savoir faire, Anenih, as Minister of Works and Housing from 1999 to 2002, availed Edo State his influence in government by repairing the critical Benin by-pass that has since greatly helped to ease the perennial traffic gridlock in Benin City. He also repaired the Benin-Asaba road and the Benin-Warri road. In recognition of his immense contribution to party administration and success of PDP-controlled federal government, he was conferred with the national honour of Commander of the Order of the Federal Republic (CFR). In death, he holds the records of being Chairman of the Board of Trustees of the PDP twice from 2004 to 2007 and from 2013 to 2015. He was also appointed twice as Chairman of the Board of Nigerian Ports Authority (NPA) from 2009 to 2011 and from 2012 to 2015. A holder of many chieftaincy titles and honorary doctorate degrees from some Nigerian universities, the narrative of Anenih’s rise from grass to grace remains a source of inspiration to those who share with him similar socio-economic circumstances that he overcame in his quest for success in life, which God made possible through the right connection. On the occasion of his 80thbirthday in Abuja in 2013, he told the quality audience that the late General Shehu Musa Yar’Adua was the person that God used to position him in Nigerian politics. He wept as he recognised and appreciated the presence of Hajia Binta, the wife of General Shehu Yar’Adua, at the venue of the birthday reception. That was the soft side of the Anenih persona that was not known in its vastness to those who saw him as a tough-looking politician. Whereas, beneath the façade of his tough look, accentuated by his taciturn disposition, was a profound humanity that defined his life and act of philanthropy. Perhaps, the most touching of his charity works remains his endowment in 2012 of the multi-million naira Geriatric Centre at the University College Hospital (UCH) Ibadan, the first of its kind on the African continent, for the treatment of senior citizens with age-related sicknesses. He continued to maintain, annually, the facility, until he passed on. Chief Anthony Akhakon Anenih lived a good life. He lived for humanity. He lived for family. He lived for country and, above all, he lived for and honoured God with his substance. Adieu, great leader! Ojeifo, Editor-in-Chief of The Congresswatch magazine, was media consultant to Chief Tony Anenih.